Delivering key insights & information behind Australia’s Group One thoroughbred horse races. 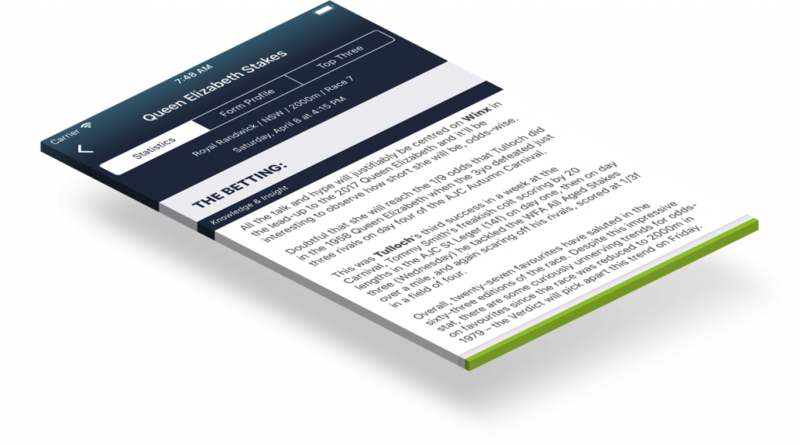 Whether you are a serious, casual or recreational punter, a breeder, an owner or a trainer, Form Focus Mobile is your essential tool for assessing your horse’s prospects going into a Group One race. For members of the media, Form Focus Mobile is your one-stop shop environment that finally supplies all the key background information, stats and data relating to the biggest races in Australia. And for the horse racing enthusiast, what could be better than re-visiting the milestone moments, the trainers, the jockeys and of course, the horses, that have combined to create the aura and history behind these great races. 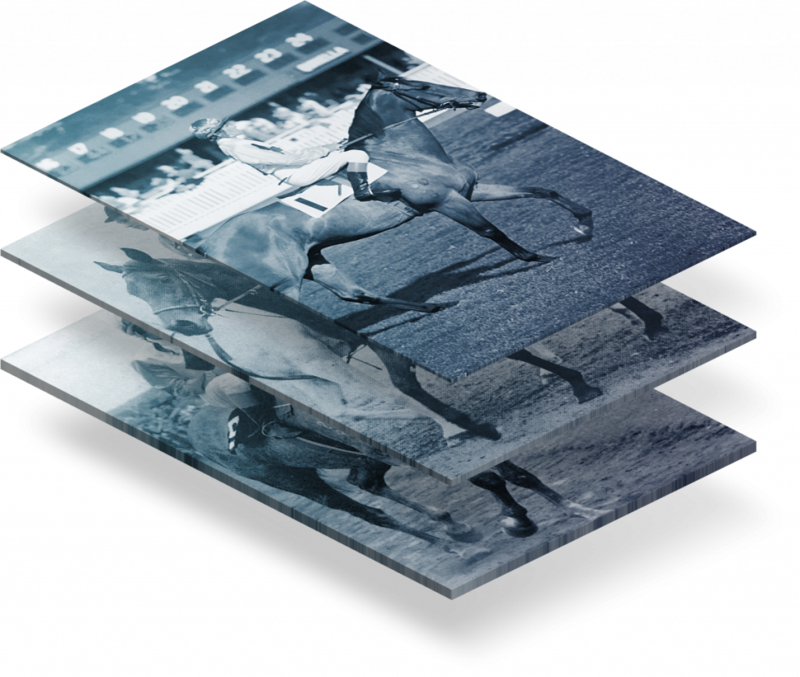 Form Focus has dedicated itself to compiling the history of Australia’s greatest horses, jockeys, races and trainers. Consistently being added upon, the database currently features Australia’s Top 10 All-Time Group One Jockeys. Each featuring a Snapshot Summary, detailing milestones and records, and their entire Group One racing history, featuring the year, horse, race and trainer. Soon expanding to feature Australia’s Group One races and Australia’s Top 10 All-Time Group One Trainers. These records are available to everyone, for free. Established in 1998, Form Focus first appeared in Victorian Race-Books for the MVRC G1 Manikato Stakes, which was won by Dane Ripper. 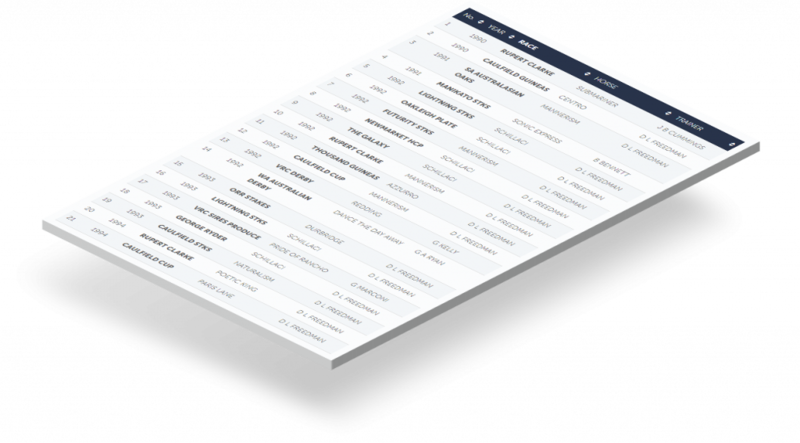 The concept behind Form Focus was to provide, for the first time, detailed and accurate historical data and associated information on all Group One races conducted in Victoria. Form Focus was primarily designed as a Race-Book insert where the three Victorian Metropolitan Race-Clubs, VRC, VATC and MVRC, quickly realised that Form Focus doubled as an invaluable Media and Promotion product. Soon enough, a Media service was established, distributing after Nominations had closed for a Club’s feature race via email. During the following years, Form Focus rapidly broadened its coverage of Group races in Victoria, expanding to selected Group 2, 3 and Listed races. The exclusive Ten-Year-Charts, which displayed the past ten winners of the race (with all relevant information), was quickly extended to a twenty-year coverage. Since 2005, the Charts display full statistics relating to the past thirty years of all races and related facts and general information has also been significantly enhanced. With a growing demand for a full National Group One race coverage, Form Focus was able to fulfil this brief in 2003, and currently provides files on all of Australia’s 72 Group One events. An additional 110 other Australia feature races are currently covered by Form Focus, providing the Racing Industry with exclusive content, facts and statistics that serves as a multi-functional tool for Clubs, Media, Owners, Trainers, Bookmakers, punters and the racing public.